Keep your beach hut safe! Beach huts have been part of the history of the British Seaside since Victorian times. In more recent times they have become increasingly popular with more and more Brits choosing to staycation over going abroad. 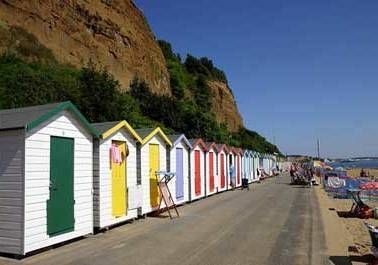 It is estimated there are around 20,000 beach huts in the UK. Beach huts are prominent at the majority of seaside resorts in the UK; including Bournemouth, Poole, Mudeford Spit, West Bexington, Lowestoft, Southwold, Walton-on-the-Naze, Abersoch, Langland Bay, Rotherslade, Rustington, St Helens, Isle of Wight, Cornwall, Brighton and Mersea Island. Beach huts are also used in other countries such as South Africa, France and Australia. Look after your beach hut. If your beach hut looks like it is not being used it is far more likely to suffer from criminal damage or antisocial behaviour. For the sake of you and your neighbours local councils ask that you keep your beach hut tidy and in good repair. According to Canterbury Police poorly maintained beach huts are more likely to attract even more damage which may include vandalism to neighbouring beach huts. Keep an eye on your beach hut. Make sure to check your beach hut regularly during both the summer and winter months. If you’re not around ask a neighbouring beach hut owner to keep an eye on yours. If you see anything suspicious report it immediately to your local Police Force as early detection and warning may assist them in identifying offenders. Never leave any valuables in your beach hut overnight. The majority of beach huts are not secure enough to leave any resalable property in. Remember to remove any combustibles that are an obvious fire hazard. Make sure your beach hut is secure as it possibly can be and pay particular attention to the windows and doors. A door which can be easily opened will attract unwanted attention from a potential intruder. Fit a battery powered alarm. Many security alarms rely on a main electricity supply and a telephone line to be effective therefore these types of alarms would not be appropriate for a beach hut. It is possible to have a battery powered alarm fitted to your shed; these devices rely on putting an intruder off because of the noise and can attract attention from passersby.